Many hospital wards suffer from too high noise levels which has a negative effect on patient restitution and creates a bad work environment for the staff. Especially critical patients in ICUs need sleep to be able to recover properly. The effect of noise on sleep is complex. Therefore the amount of noise in the hospital can not directly be translated into good or bad sleeping conditions. 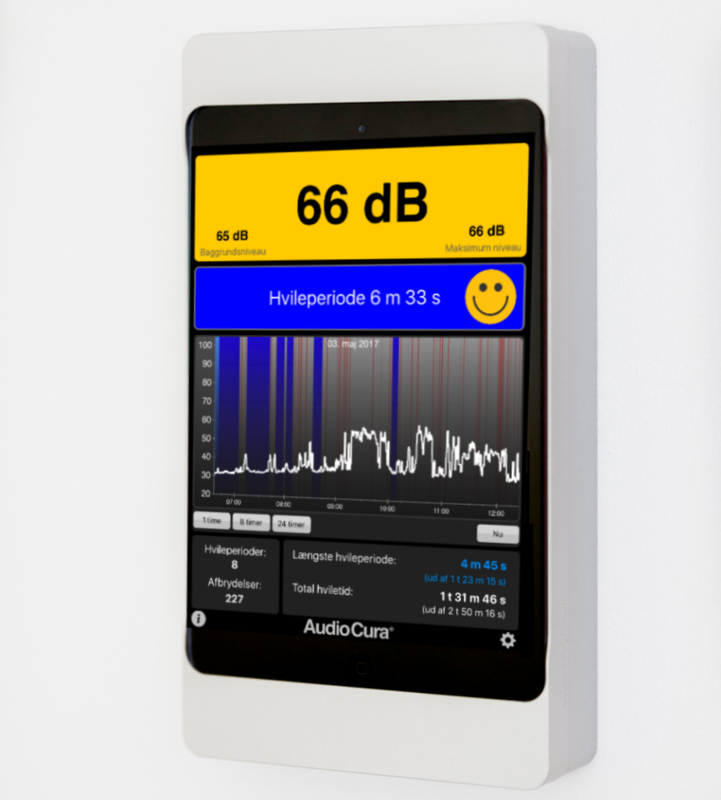 The SoundLogger measures the sound level in the room and by using complex algorithms it translates the noise into consequences for the patients ability to sleep. 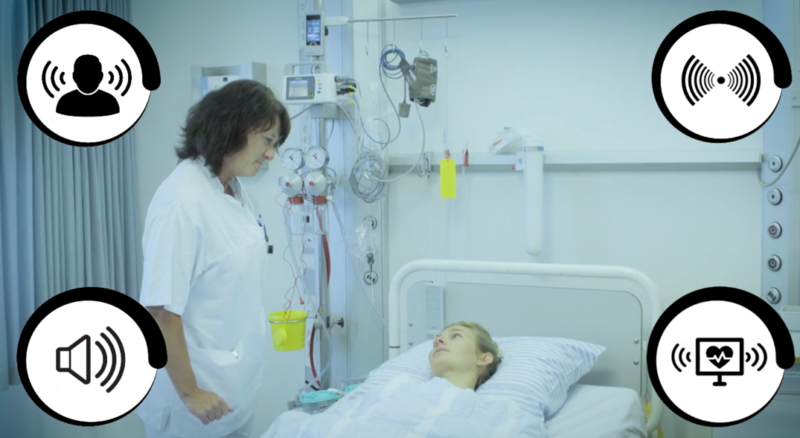 The SoundLogger system is developed in collaboration with the ICUs of Aarhus University Hospital and Viborg Regional hospital, Denmark. Her Read the white paper on noise in hospitals. Instead of showing the staff complex and unintelligible sound level decibel graphs, the SoundLogger gives a meaningful overview of the noise’s consequences for the patient’s ability to sleep/rest. Furthermore the SoundLogger shows other relevant key figures that the staff can use to sum up the wards “noise hygiene”. When the staff can clearly see the noise environment’s consequences for the patient, then the staff is better capable of adapting their work flow and work habits more appropriate. The SoundLogger supports the staff in working with a clinical approach on noise reduction and work flow planning. The SoundLogger visualizes the noise’s consequences and allows for the noise to be dealt with. The SoundLogger is a valuable clinical management tool in working with improving the quality of the sound environment in ICUs, recovery and other bed wards. The SoundLogger monitor can be mounted in the hospital bed room, out side the bed room or in a surveillance area. A discreet and virtually invisible microphone is mounted in the ceiling of the bed room. The microphone can also be mounted by the patient’s bed. The microphone is connected to the SoundLogger.